Hardwood floors are pretty tough, but they take abuse over the years. Hardwood floors that are 20 years old or more show their age. They have a dulled surface, scratches, and discolorations. If you’re in this situation, then you’re faced with a decision. Do you refinish or replace hardwood floors? Many factors influence that decision, including cost, aesthetics, project time, and the quality and condition of the original floor. 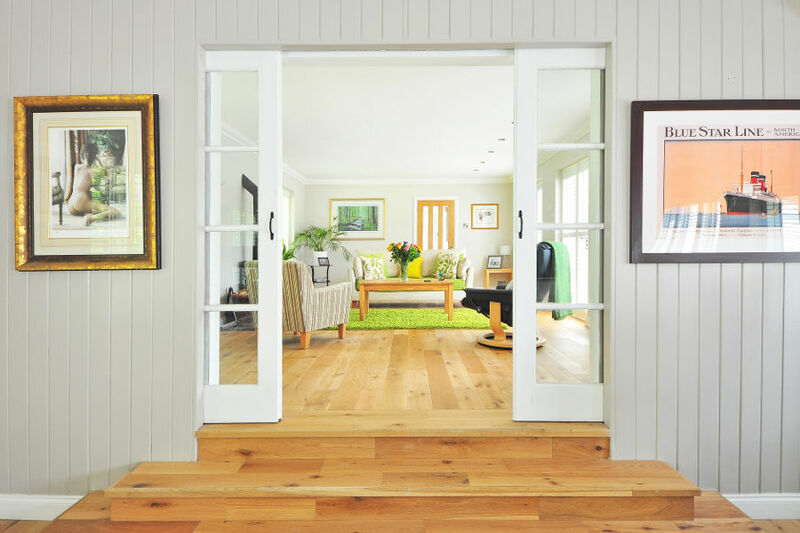 What’s The Cost Of Refinishing Hardwood Floors VS. New Floors? Replacing hardwood floors is always going to be more expensive. After all, replacing hardwood floors means all new materials and installation. There will the added cost of removing the old floor as well. Cost may be less of a factor if you can do the removal and installation yourself. Be forewarned, installing flooring is a specialized skill. If you’re inexperienced, you’ll be better off using a contractor. If you choose to refinish hardwoods yourself, it will certainly save you money. It’s also a project you can complete yourself with a little research beforehand. 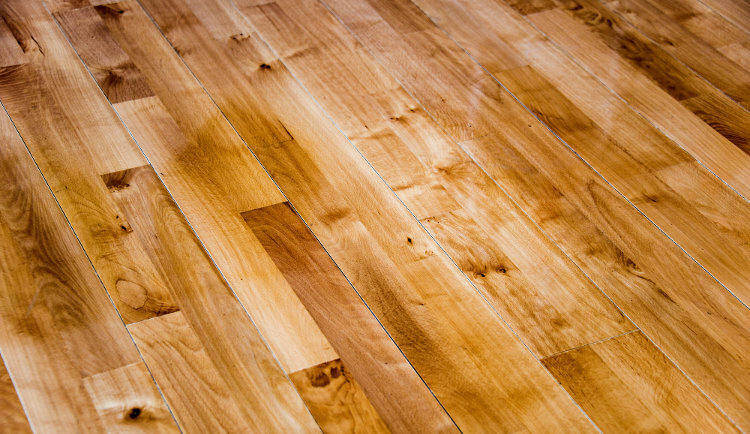 Unless your floor is damaged in places, the cost of refinishing hardwood floors (vs. replacing) is advantageous. If you want to brighten the look of your floors, then refinishing will do the trick. Refinishing restores existing wood beautifully. You can select a stain that highlights the natural beauty of the wood as well as your room decor. If you want to change the look of the floor completely, including changing the style, then you’ll be replacing hardwood floor altogether. Refinishing takes more time than replacing hardwood floors. Refinishing flooring is a messy job. It’s a tedious, meticulous process. It may take more than five days to complete, depending on the size of your home. Of course, during that time you cannot disturb the surface at all. It also requires a lot of tools that may not be in your garage already. You’ll need edgers, sanders, scrapers, buffers, base coat sealer, brushes, topcoat sealers, and putty knives. If you are capable of installing a new floor yourself, then you’ll need far less. You’ll need only the lumber, saws, a chalk line, a flat bar, measuring tape, and a nail gun. It will also take less time to install than refinishing. Repairing hardwood floors can be difficult. More often than not, the replacement wood you need isn’t available. Flooring professionals will do their best to match the original. But, in some cases, you have to replace the whole floor. Refinishing it will only highlight the flaws. If your hardwood floor is warped or has damaged planks, you will need to replace the entire floor. If your floors are very old, you might see the tongue where the boards come together. Your boards may not be thick enough to withstand more use. All of these are deciding factors for replacing hardwood floors. If your floor was installed decades ago, it may resist refinishing. For example, it may have been refinished several times already, or too much of the surface is exposed after years of wear. In these cases refinishing may do little to improve the look of the floor. If your flooring falls under one of these situations then replacing your hardwood flooring is the best option. Whether you choose to refinish or replace hardwood floors, you’ll be pleased with your results. There is a simple, rich beauty to a hardwood floor. If you have any questions about refinishing or replacing your flooring, please contact us. Previous StoryHardwood Tiles vs Real Hardwood Flooring: Which Is Best For Your Home?